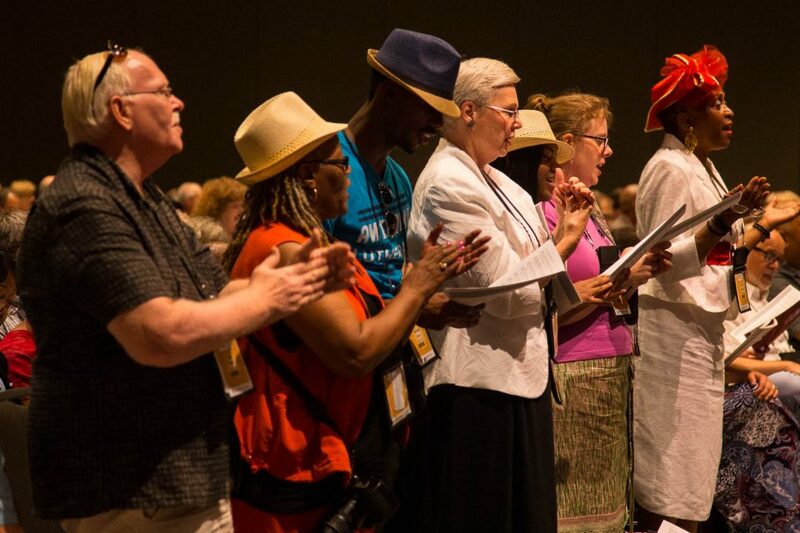 945 voting members registered on the opening day of the 2016 ELCA Churchwide Assembly. 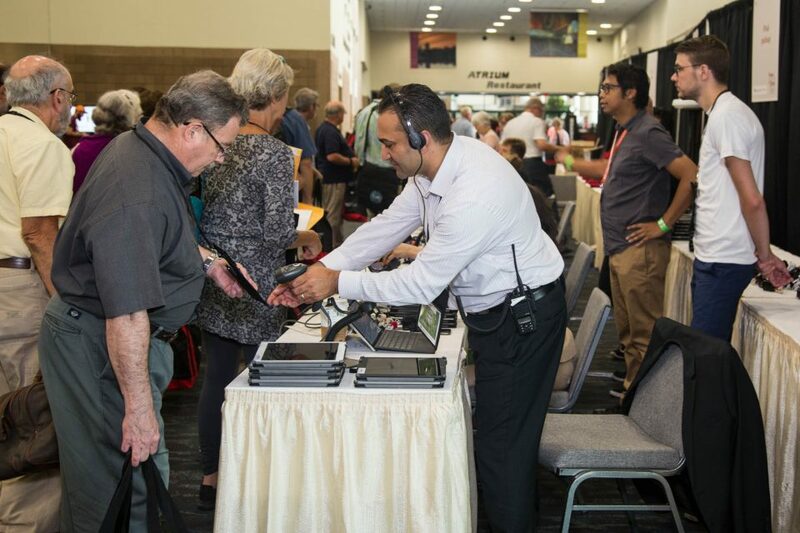 Registration hall was a busy place! Opening worship offered many styles of music from Bach to Ukuthula, an African prayer for peace. 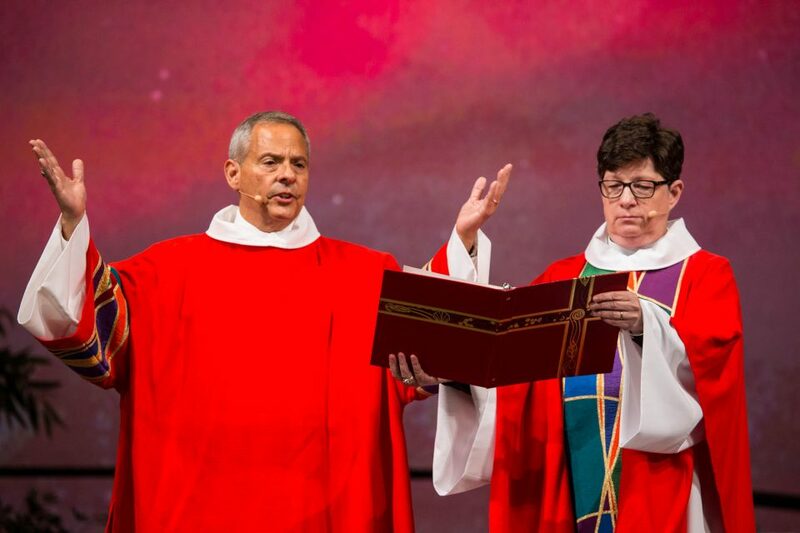 Presiding Bishop Elizabeth Eaton and outgoing ELCA Vice President Carlos Pena served as presiding minister and assisting minister, respectively, at the opening worship with Holy Communion. 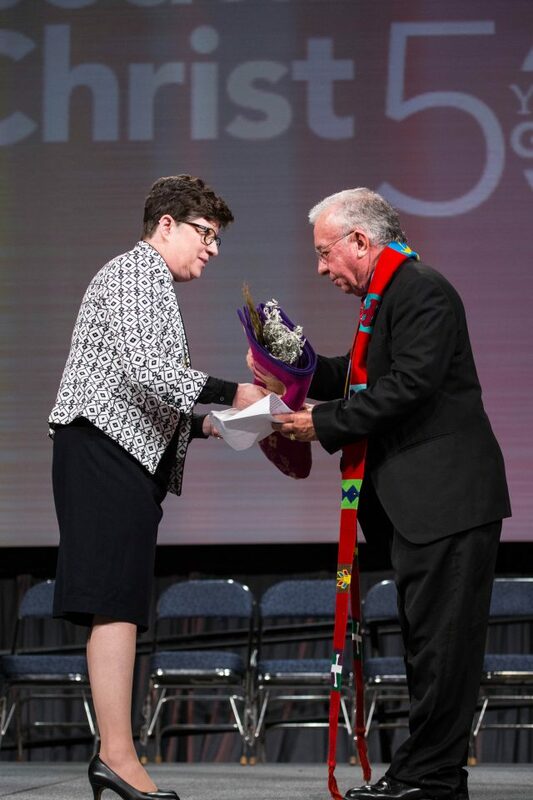 Presiding Bishop Elizabeth Eaton opened the assembly by asking Kirby Verret, former chair of the United Houma Nation Tribal Council, to bring a greeting from the local American Indian tribal communities, on whose ancestral lands the assembly is convening. 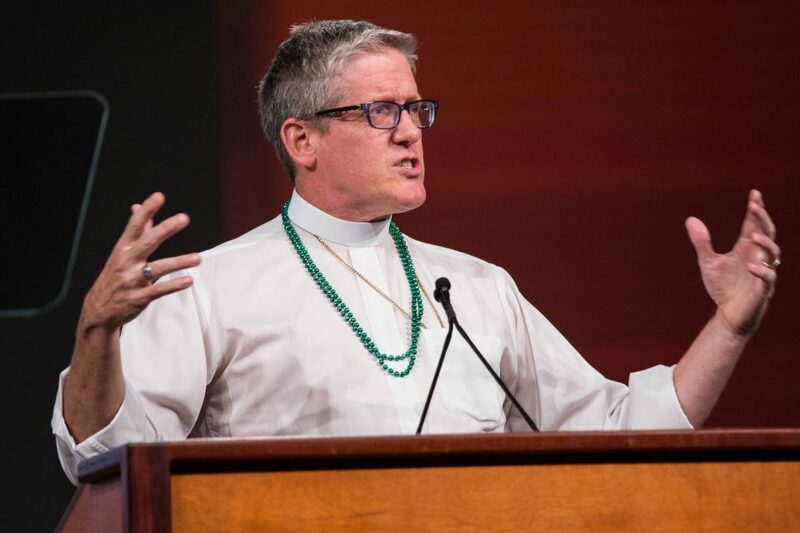 Texas-Louisiana Gulf Coast Synod Bishop Michael Rinehart welcomed the assembly to New Orleans and invited a few local pastors to offer a word of thanks for the support they received following Hurricane Katrina. “In honor of the support we received globally, we are making donations on behalf of this assembly to Lutheran Disaster Response and to Welcome Table New Orleans, the mayor’s city-wide initiative focusing on race, reconciliation and community-building,” Rinehart said.